On Wednesday, June 29, at approximately 6:38 p.m., investigators with the Oswego County Drug Task Force stopped a 2007 Hyundai Sonata as it traveled northbound on State Route 48 near County Route 85 in the town of Granby. The passenger in the vehicle, Eamon M. Scullin, 27, of 157 W. Third St, Apartment # 7, Oswego, NY, was the subject of a narcotics investigation. Terry L. Shear, 67, a resident of Hannibal, died Tuesday June 28, 2016, at St. Joseph’s Hospital, Syracuse. “I am so proud of (Safe Haven). 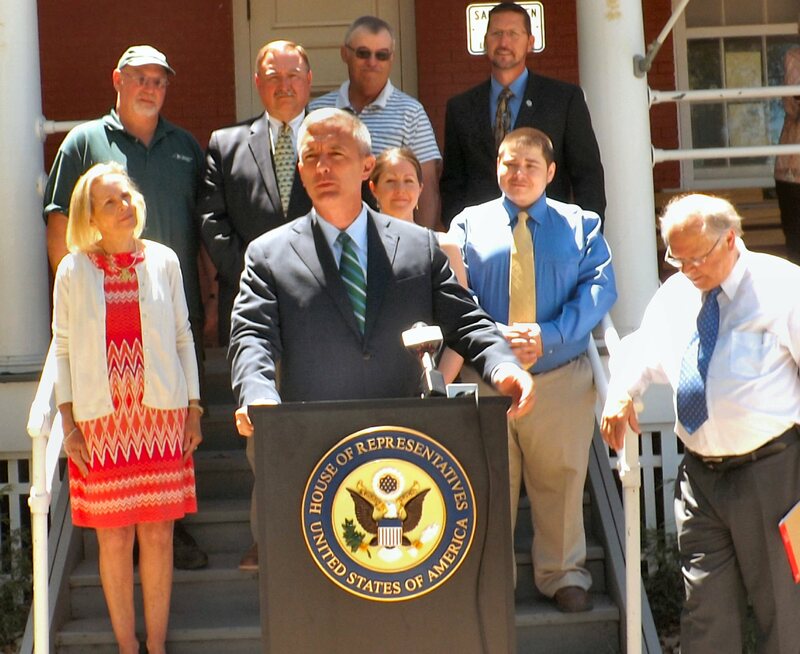 It is one of the great pieces of Jewish heritage in this country, and indeed the world,” Congressman Katko said. “When I was in Israel last year, I mentioned it to some of the folks in the Israeli Cabinet and they were really fascinated by it.” Fort Ontario and Safe Haven are “a great jewel of our area,” he added. His efforts to raise the site to national park status continue to move forward. Barbara Jean Perkins Willard, 86, of Fulton, died Wednesday June 29, 2016, at St. Luke’s Nursing Home in Oswego, NY. Charles Clew of Granby was arrested today (June 30), following an on-going joint drug investigation by the City of Fulton Police Department and Oswego County Drug Task Force. During the course of the investigation a search warrant was executed and Clew was found to allegedly be in possession of a large quantity of heroin and 13 prescription pills classified as a schedule two narcotic. Patrick Park on Frawley Drive in Fulton is beginning the steps to a much needed revamp. 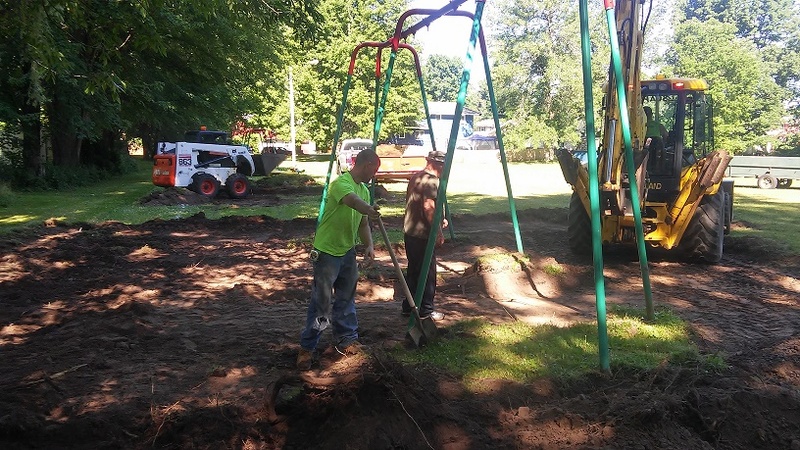 With the guidance of Parks and Recreation Superintendent, Barry Ostrander and employees, the park is in the beginning stages of installing state certified safety material for landing zones to then be able to hang swings. Donald Patrick Jr., councilman of the third ward in which the park is located has taken a personal, proactive approach to raising funds to complete the project. The third grade wing at Fairley Elementary school recently transformed into an international experience as part of cultural night. Each class studied the history and traditions of a particular country. The Oswego City Band presents “Beautiful Melodies” at Breitbeck Park on July 6 at 7:30 p.m. The ensemble will be performing a wide variety of styles appropriate for all ages and musical tastes. The School age students at Discovery Learning Center got creative with scooters, balls and small baskets and played a life-sized version of Hungry, Hungry Hippos. City officials are anxiously awaiting the results of who will win the $10 million in state funding up for grabs for one municipality in the region. The city submitted its Downtown Revitalization Initiative (DRI) application at the end of May as one of four communities in the CNY region to submit a proposal for the grant, including the closest contender coming from Fulton’s neighboring city, Oswego.